Troy takes a proactive approach to thoroughly understand what his clients wish to accomplish. Knowing that this experience can be stressful and rife with uncertainty for the client, he focuses on customer satisfaction throughout the life of the relationship. Ultimately, Troy believes, it's in his and the client's best interests to build a trusting relationship for the long term. He keeps a close eye on the details and delivers persistent follow-up with all of his clients. Troy graduated from the University of Wisconsin-Whitewater in 1994 with a degree in finance complemented by a real estate emphasis and a minor in psychology. In addition, he is a graduate of the Commercial Investment Institute and is a Certified Realtor. 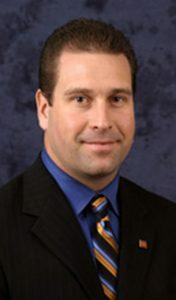 He began his career in commercial and industrial real estate in 1995 and joined Bomier Properties, Inc. in 1997. Retail site selection and development are Troy's specialties. He has strong relationships with several regional and national clients.